You will have a chance to participate in the Panda Volunteer and Panda Holding programs for additional cost in the new Dujuangyan Panda Base. Work as a panda keeper by cleaning the cages, feeding the pandas with your own hand, and holding a panda for memorable photos. This private experience will expand your knowledge of pandas using an insider’s perspective. 1.Attenders have to be 12-65 years old. 1.How to fill the form successfully? 3.from begining to the end, WestChinaGo will offer efficent support,save your time and cost. Your driver will meet you in your hotel lobby at the scheduled departure time before making the 1.5 hour drive to Dujiangyan Panda Valley. 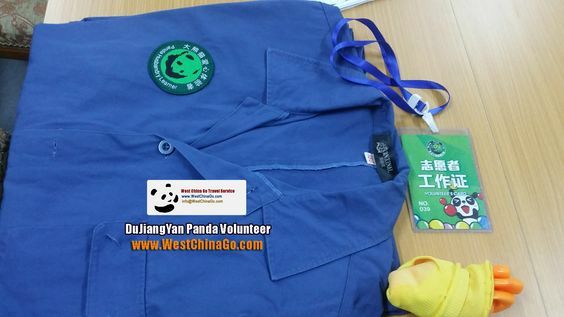 Dujiangyan Panda Valley, short for the China Conservation and Research Center for the Giant Panda (CCRCGP) Dujiangyan Base, is the only place in China you can do the Panda Volunteer and Panda Holding Program at the same time. Upon arrival, the staff will assist you with checking in for the volunteer work and give you a uniform, gloves , and volunteer’s card to use for the day. During your experience, the staff will be on site to enhance the communication between volunteer workers and keepers. If you do not join the volunteer work and only want to do the panda holding, you can tour the Panda Valley and return to the ticket office at 10:30am. The staff in Panda Valley will help you to arrange the panda holding. 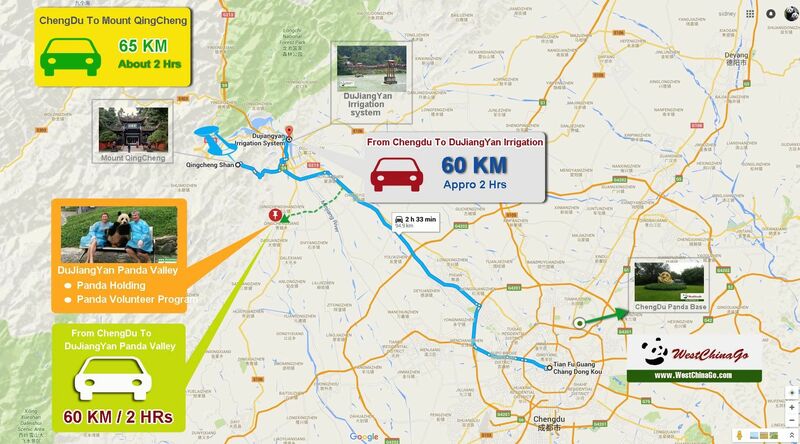 Itinerary:From Chengdu to dujiangyan panda base,60 KM,To charter vechile is best way. 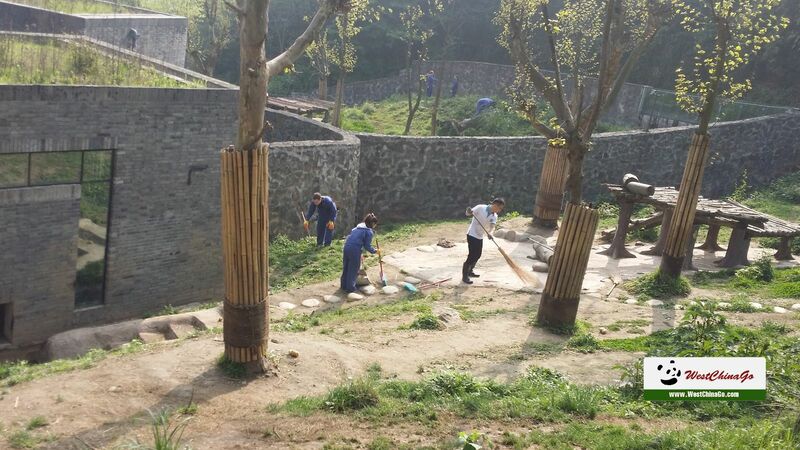 As a volunteer, you will clean the panda enclosure, sweep out the leftovers of bamboo and panda poop, and refill with fresh bamboo. From 10-11:00am, you will take a break to tour the facility and you may even join the panda holding program to have your pictures taken with a young panda. Around 11 am, the panda keepers will show you how to feed a panda with your own hands. Once you finish the morning work, you will have a simple lunch with the staff in a panda canteen. After lunch, the staff will show you a documentary movie about the life cycle of giant pandas. Your afternoon work will start by 2:00pm when you begin to clean the panda enclosure again. You will then feed pandas apples or panda cakes. Get a chance to make the panda cakes yourself! At approximately 3:00pm, you will receive the Panda Volunteer Certificate issued by the Panda Conservation and Research Center and the unforgettable panda volunteer program will come to a close. Your driver will then transfer you back to your Chengdu hotel. one hour Visit the science discovery center to learn how to rescue panda in the open air and practice the process with the help of instructors; Visit the Giant Panda Veterinary Hospital and get to know the medical apparatus and understand how the staffs treat those sick pandas. half an hour Assist your master to feed pandas by preparing bamboo, panda cakes and fruit and know better about their eating habit. Lunch (12:00-13:45) one hour and 45 min Lunch time and rest time; Visit around the base and see the cute panda. Afternoon (13:45-17:00) 45 minutes Watch the scientific film giant panda and appreciate the touch stories between pandas and human beings. 45 minutes Visit the kitchen and learn how to prepare the panda cakes with the help of your master. 45 minutes Join the lecture about scientific knowledge of giant panda and know better about China’s national treasure. 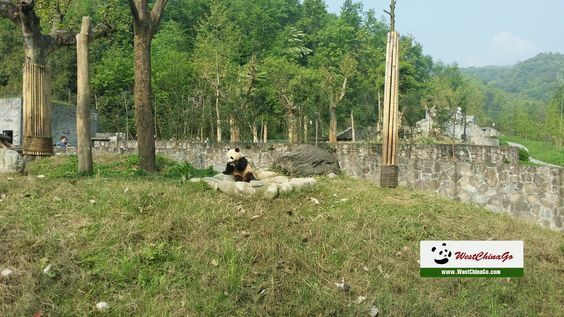 half an hour Plant bamboo and trees to improve the pandas’ environment. half an hour Answer some scientific questions about panda through your whole days’ experience. As your volunteer time will include a lot of manual labor in close proximity to the Pandas, be sure to wear appropriate footwear for both comfort and protection. We recommend closed-toed hard leather shoes. No matter how “adorable” they look, the animals are not pets or toys and should not be treated as such. They have sharp teeth, strong jaws and powerful claws so even a playful interaction can cause harm. Volunteers need to be prepared for relatively hard work as they assist the caretakers in their daily chores. Since pandas spend about 14 hours a day eating and don’t efficiently digest their food, expect a lot of “shoveling” as part of your volunteering. You’ll also be called on to help carry bamboo to the pandas, and to sweep up the old bamboo. Expect to spend some time chopping up various foods for the pandas. If you are helping to feed them, remember pandas have strong jaws so be sure to remove your hand from what you’re feeding them before they take a bite! If you participate in photographing in the Kindergarten, be especially aware of behaviors that could be a risk to your safety and the Giant Pandas. Following safety protocol is key to having a wonderful and safe experience. 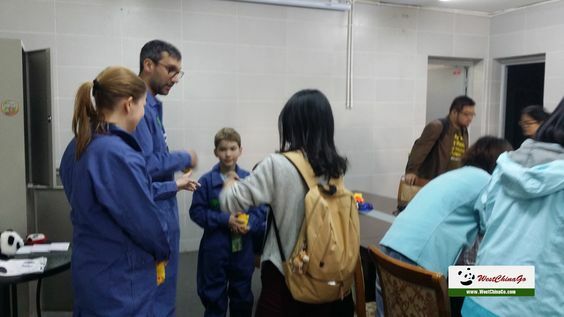 Remember that new, young Chinese caretakers will have a cultural prohibition against telling a foreign tourist to stop something they shouldn’t be doing. Do NOT tip the keepers or anyone else at the Panda Base. No government employees can accept cash and if they do they can lose their jobs. You are more than welcome to invite them to lunch, give t-shirts, chocolate, or coffee. Keeping these things in mind will help assure a problem free, unforgettable experience. “Playing with Pandas” is prohibited. While you might have seen photos on the internet of tourists playing with pandas this practice is no longer allowed due to diseases, illnesses and infections that the pandas could acquire from humans.